ECRI Institute has addressed many new technologies in each edition of its annual “Top 10 Hospital C-suite Watch List.” Some have panned out, some have not, and some, like Google Glass, continue to be studied for new health care uses. 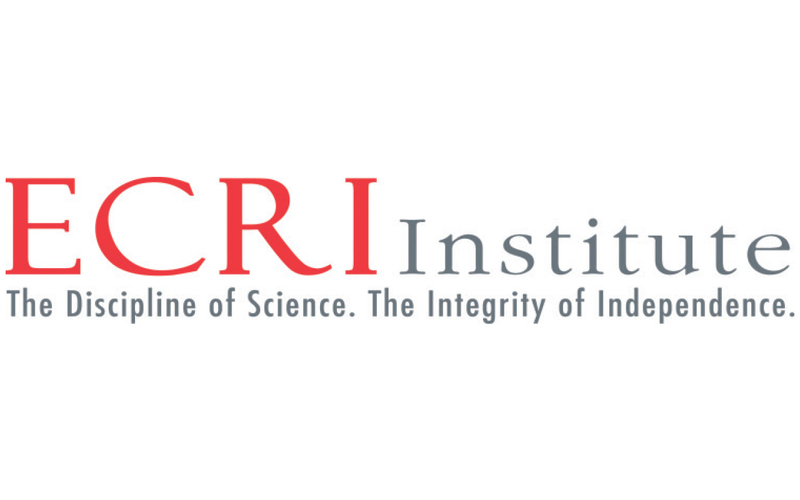 As ECRI Institute celebrates its 50th anniversary of separating fact from fiction in health care, we trust that this 9th edition of the Watch List will help you better understand some of the technology and infrastructure changes in patient care this year. This year’s list includes topics such as direct-to-consumer genetic testing, which is changing the face of what front-line clinicians encounter when patients walk in with test results they received on their own, asking, “What do variants of unknown significance mean? Should I be worried?” Below ECRI highlights two of the issues highlighted on the list; Magnetic Resonance Imaging (MRI) and microneedles. Neonatal MRI System – Should You Move One into the NICU? Magnetic resonance imaging (MRI) applications are rapidly expanding for all patient populations, including infants in the neonatal intensive care unit (NICU). When clinicians suspect that a neonate has experienced edema or hemorrhage, MRI is crucial for diagnosis to inform effective interventions. However, standard neonatal MRI requires transporting these vulnerable infants to radiology departments to undergo MRI, usually in a large, noisy scanner remote from the NICU, making transport a risk for these critically ill newborns. Although MRI is relatively safe, rare accidents in the MRI environment do occur, and a neonate is particularly vulnerable to MRI potential hazards, including projectile accidents, radiofrequency electromagnetic field effects, noise hazards, physiologic instability, and trauma resulting from transport, positioning, handling, and sedation. Enter the Embrace Neonatal MRI System (Aspect Imaging, Shoham, Israel), which FDA cleared in 2017. This device is designed for point-of-care imaging in the NICU of the neonatal brain and head. This greatly reduces potential risk of transport issues and enables staff to rapidly perform emergency care. Also, when medically necessary, the neonate can be removed from the system quickly. The device has several unique features intended to minimize the risks of neonatal MRI and improve the imaging experience for the infant, parents and clinicians. The Embrace is fully enclosed and does not require a safety zone or a radiofrequency-shielded room, so it can reside in close proximity to typical medical devices lacking “MR Safe” and “MR Conditional” designations. The device has an integrated incubator to control body temperature and measure vital signs during MRI. This removes the need for a hospital to invest in “MR Conditional” incubators compatible with standard MR systems. Aspect Imaging claims the system is significantly less noisy than conventional MR systems, which is particularly important because neonates can suffer hearing loss without noise protection while undergoing conventional MRI. If considering a new Embrace system, assess the annual volume of neonate MRI scans at your facility. You may determine that the scan volume does not justify the capital investment and resource allocation to adjust current imaging practices. If you decide to invest in the Embrace system, hold multidisciplinary planning meetings between NICU clinicians, radiology leaders, and healthcare technology management professionals to establish and review policies and procedures for implementing and utilizing this system in the NICU. (Nearly) Pain-free Blood Draw: Will Microneedles Disrupt Phlebotomy? The blood-draw process is time-consuming and unpleasant for patients: drive to the lab, sign in, wait for one or more painful needlesticks. A large percentage of people don’t even show up for blood collection. From the health facility side, many laboratory tests require only small amounts of blood, but larger amounts of blood are drawn, producing excess waste that must be disposed of properly. Small-volume blood samples from fingersticks have also been problematic, as cell innards and interstitial fluids can be captured in the sample, and with small collections very little blood volume is available to wash out these extra components. Researchers have calculated that it takes 80 or more microliters to wash out excess material and reduce variability. To address patient concerns and workflow inefficiencies, Seventh Sense Biosystems (Medford,MA, USA) developed the recently FDA-cleared TAP (touch-activated phlebotomy) microneedle blood-collection device. The TAP single-use, 1.5-inch diameter device adheres to a patient’s skin. Once tapped, the device uses 30 microneedles and a small vacuum to collect 100 microliters of capillary blood over 2 to 3 minutes until the fill indicator signals the collection is complete. The company says it is “nearly painless.” The extracted blood can then be tested on standard laboratory equipment. One potential drawback is that TAP blood samples currently must be tested within six hours of collection, which may put a damper on use in rural areas, where samples must be mailed for testing. The device could prove especially useful in pediatric populations, especially for children who require frequent blood draws for chronic conditions. A registration study rated traditional venipuncture or fingerstick at a pain level of five on the Wong-Baker Scale; pain from the TAP device was rated lower, at level two. Less pain also means less reliance on topical anesthetics and distraction techniques when blood is collected. Currently, the only FDA-cleared use of TAP is for hemoglobin A1c testing (blood glucose level). However, many laboratory tests could be performed with 100 microliters of capillary blood. Seventh Sense is working on obtaining additional clearances and integrating a digital chip that can date and time stamp the blood sample. The time stamp would be useful, especially if patients were to take their own blood sample in a nonclinical setting and mail it to a lab. TAP has the potential to decentralize phlebotomy, disrupting the established workflow of laboratory phlebotomists. Seventh Sense has since received a grant from the Bill and Melinda Gates Foundation and additional funding from Novartis, Siemens and LabCorp. TAP’s future may include integration with laboratory diagnostic platforms that analyze blood samples, allowing clinicians smartphone access to results within minutes of completion. 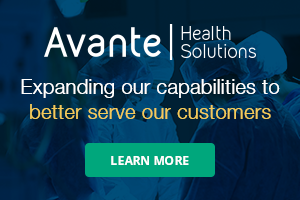 Seventh Sense’s recent partnership with LabCorp is likely to accelerate this integration. Seventh Sense indicates that future functionality, such as connectivity, additive array, sample separation and dried blood spots, can be added. Watch for new tests to become available using TAP blood samples. Assess your laboratory technology to determine where smaller-volume samples can be used on your existing equipment. Develop plans for lab equipment slated to be replaced in the next five years so that it will be able to accept small sample sizes. Consider transitioning to TAP for in-clinic use in your diabetes program for monitoring HbA1c. Work with your laboratory director, providers and supply chain to assess feasibility of transitioning to TAP samples in place of traditional vials for care areas such as pediatrics. Consider trialing TAP as the blood sample source rather than fingerstick for your point-of-care testing in the ED and for in-home use. Be sure to obtain approval from your health system for any off-label use. Stay tuned! In the next issue of TechNation, we’ll take a deeper dive into other topics featured on ECRI Institute’s 2018 Top 10 Hospital C-Suite Watch List. 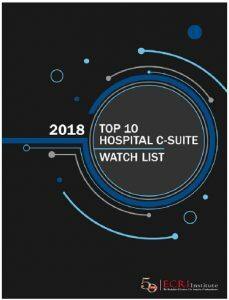 This article is excerpted from ECRI Institute’s 2018 Top 10 Hospital C-Suite Watch List. To download the full report, visit www.ecri.org/2018watchlist. For more information on ECRI Institute’s evidence-based health technology assessment or consulting services, contact communications@ecri.org, or call (610) 825-6000, ext. 5889.